"Évariste Galois had an even shorter and more tragic life than did Abel. Born near Paris in 1811 as the son of a small-town mayor, he began to exhibit and extraordinary mathematical talent shortly after his fifteenth birthday. He tried twice to enter the École Polytechnique, but both times was refused admission because of his inability to meet the formal requirements of the examiners, who completely failed to recognize his genius. Then came another blow; his father, feeling himself persecuted by the clerics, committed suicide. Persevering, Galois finally entered the École Normale in 1829 to prepare himself to teach, but, drawn by democratic sympathy into the turmoils of the Revolution of 1830, he was expelled from school and spent several months in prison. Shortly after his release, in 1832, when not yet twenty-one years old, he was manipulated into a pistol duel over a love affair and was slain." Eves, Jamie H. An Introduction to the history of mathematics with cultural connections. 6th ed. Philadelphia [etc]: Saunders College Publishers, 1990. La Facultat de Matemàtiques i Estadística dedica el curs 2012-13 a Évariste Galois i com en anys anteriors la Biblioteca de l'FME, per donar suport a aquesta iniciativa, presenta el Web Galois amb l'objectiu principal de complementar bibliogràfica i documentalment les activitats sobre aquest matemàtic que es realitzin a la facultat. L' Espai Galois és un espai que la Biblioteca de l'FME ha reservat, durant el curs 2012/13, per exposar llibres i altres documents referents a Évariste Galois. Edició 2ème éd. revue et augm. Autor Put, Marius van der. NOTA IMPORTANT: Per accedir als continguts de la Biblioteca digital de la UPC cal tenir instal·lat el "Botó eBIB" al navegador. Més informació a: . Galois' version of Galois theory from Institut Henri Poincaré on Vimeo. Whereas algebraic Galois theory studies extensions of algebraic fields, differential Galois theory studies extensions of differential fields, i.e. fields that are equipped with a derivation, D. Much of the theory of differential Galois theory is parallel to algebraic Galois theory. One difference between the two constructions is that the Galois groups in differential Galois theory tend to be matrix Lie groups, as compared with the finite groups often encountered in algebraic Galois theory. The problem of finding which integrals of elementary functions can be expressed with other elementary functions is analogous to the problem of solutions of polynomial equations by radicals in algebraic Galois theory, and is solved by Picard–Vessiot theory. Field theory is a branch of mathematics which studies the properties of fields. A field is a mathematical entity for which addition, subtraction, multiplication and division are well-defined. A (mathematical) field with a finite number of elements. The number of elements must be of the form pk where p is some prime number and k is a positive integer. Results concerning finite fields are of particular relevance in the areas of error detection and error correction. In mathematics, more specifically in the area of modern algebra known as Galois theory, the Galois group of a certain type of field extension is a specific group associated with the field extension. The study of field extensions (and polynomials which give rise to them) via Galois groups is called Galois theory, so named in honor of Évariste Galois who first discovered them. 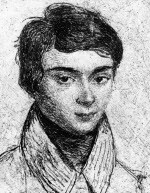 In mathematics, more specifically in abstract algebra, Galois theory, named after Évariste Galois, provides a connection between field theory and group theory. Using Galois theory, certain problems in field theory can be reduced to group theory, which is in some sense simpler and better understood. Originally Galois used permutation groups to describe how the various roots of a given polynomial equation are related to each other. The modern approach to Galois theory, developed by Richard Dedekind, Leopold Kronecker and Emil Artin, among others, involves studying automorphisms of field extensions. In mathematics, Grothendieck's Galois theory is a highly abstract approach to the Galois theory of fields, developed around 1960 to provide a way to study the fundamental group of algebraic topology in the setting of algebraic geometry. It provides, in the classical setting of field theory, an alternative perspective to that of Emil Artin based on linear algebra, which became standard from about the 1930s. The study of the symmetries that define the properties of a system. Invariance under symmetry operations enables much about a system to be deduced without knowing explicitly the solutions to the equations of motion. Newton's law of gravitation, for instance, exhibits spherical symmetry. The force of gravity due to the attraction of a planet to a star is the same for all positions that are equidistant from the centre of mass of the star. However, the possible trajectories of the planet include non-symmetric elliptical orbits. These elliptical orbits are solutions to the Newtonian equations. However, one discovers on solving them that the planet does not move at a constant speed around the ellipse: it speeds up when it approaches perihelion and slows down approaching aphelion, which is consistent with what one might expect from a spherically symmetric force law. This behaviour, first formulated as one of Kepler's laws of planetary motion, is now accepted as a result of the conservation of angular momentum. In Galois theory, the inverse Galois problem concerns whether or not every finite group appears as the Galois group of some Galois extension of the rational numbers Q. This problem, first posed in the 19th century is unsolved. There are some permutation groups for which generic polynomials are known, which define all algebraic extensions of Q having a particular group as Galois group. These groups include all of degree no greater than 5. There also are groups known not to have generic polynomials, such as the cyclic group of order 8. More generally, let G be a given finite group, and let K be a field. Then the question is this: is there a Galois extension field L/K such that the Galois group of the extension is isomorphic to G? One says that G is realizable over K if such a field L exists. is a polynomial in x (with real coefficients). When a 0, a 1,…, a n are not all zero, it can be assumed that a n ≠ 0 and the polynomial has degree n. For example, x 2 − √2x + 5 and polynomial are polynomials of degrees 2 and 4 respectively. The number a r is the coefficient of xr (for r=1, 2,…, n) and a 0 is the constant term. A polynomial can be denoted by f(x) (so that f is a polynomial function), and then f(−1), for example, denotes the value of the polynomial when x is replaced by −1. In the same way, it is possible to consider polynomials in x, or more commonly in z, with complex coefficients, such as z 2+2(1−i)z+(15+6i), and the same terminology is used. An important and practical family of linear error-correcting block codes, especially suited to the correction of burst errors. They can be regarded as a generalization of Bose—Chaudhuri—Hocquenghem (BCH) codes, and as a special case of Goppa codes. RS codes can be arranged to be cyclic. In mathematics, more specifically in the field of group theory, a solvable group (or soluble group) is a group that can be constructed from abelian groups using extensions. That is, a solvable group is a group whose derived series terminates in the trivial subgroup. Historically, the word "solvable" arose from Galois theory and the proof of the general unsolvability of quintic equation. Specifically, a polynomial equation is solvable by radicals if and only if the corresponding Galois group is solvable. The set of invariances of a system. Upon application of a symmetry operation on a system, the system is unchanged. Symmetry is studied mathematically using group theory. Some of the symmetries are directly physical. Examples include reflections and rotation for molecules and translation in crystal lattices. Symmetries can be discrete (i.e. have a finite number), such as the set of rotations for an octahedral molecule, or continuous (i.e. do not have a finite number), such as the set of rotations for atoms or nuclei. More general and abstract symmetries can occur, as in CPT invariance and in the symmetries associated with gauge theories. Rotman, Tony. Genius and biographers: the fictionalization of Évariste Galois. (Original version published in American Mathematical Monthly, 89, 84 (1982). Winner Ford Writing Award). The Évariste Galois Archive: a resource of biographical material in various languages \ Bernard Bychan.